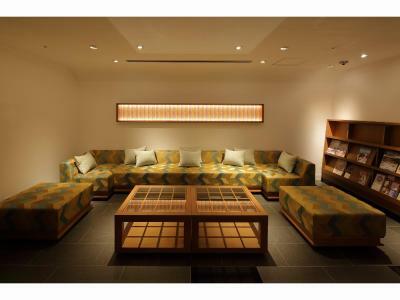 Lock in a great price for Hotel Gracery Kyoto Sanjo – rated 9 by recent guests! Location, comfort, reasonably good size room, good wifi, coin launderette, ice machine, complimentary tea& coffee for breakfast until 22:00h, w croissants (limited supplies but were sufficient for each of the 4mornings we stayed there for breakfast. toilet in the room separate from the spacious bathroom. Tv with CNN, BBC & Discovery in English language. Window could be opened for fresh air. The location is great and the staff is simply amazing! 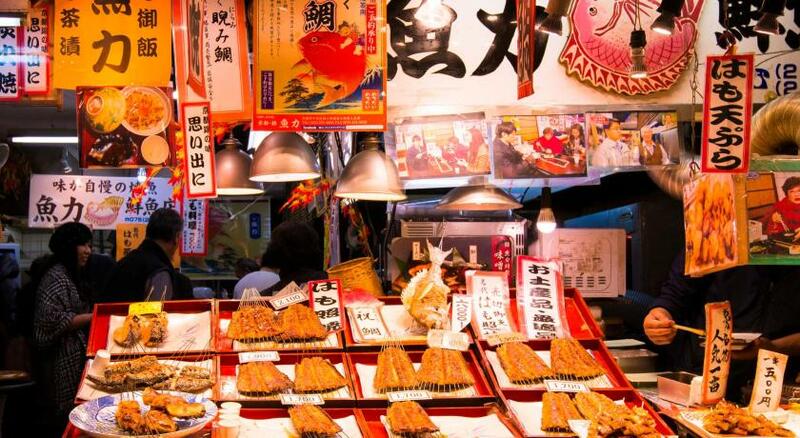 The location was superb with shops and the Nishiki Market just nearby. Good size room and cozy. Staffs are friendly and helpful. This hotel was a pleasant surprise as I didn't realize it was located within a prime traditional shopping district with walking streets. My family and I stayed in the north building which was a bit cheaper, but still really modern, quiet and nice, although compact. The design was neat, clean and well organized, with a place for everything from a hair dryer, to a humidifier, and complimentary toiletries. The shower and bathtub had great hot water pressure, as well as complimentary bath salts. The wifi was excellent and the laundry facilities were quite convenient near the dining room. The hotel is in the midst of an area with many tourist restaurants and convenient stores so it was no problem getting food, although most didn't open until after 9am. The location was great close enough to the subway and in the middle of a huge shopping district lots to do. Room was spacious room enough especially for a solo traveler. The staff was helpful and the breakfast was good but not mandatory you can find better meals outside. Overall it was a very pleasant stay. The location is absolutely great, right in the middle of a very nice market which has lots of stores and places to buy food. It's very easy to get there with several stations nearby. It also has a 7-eleven in the first floor which is incredibly convenient for any last minute meals or first necessity things that you might need. The place is awesome and the staff are very polite. The staff were incredibly helpful and accommodating. Even though we originally reserved one twin room and one double room, when we checked in and realized that the rooms were in separate towers and further apart than our group wanted to be (just across the alley from one another), the staff let us change our reservation with no penalty and even with a bit of a discount. Everything was clean and spacious, much more luxurious than we expected for that price. And the location was great - right in the middle of excellent shopping and food options. I enjoy pretty much my stay at this hotel. The location is perfect close to train and subway stations, restaurants and bars. The room was super clean and comfortable. We loved the hotel, its staff, and the location! We will definitely return to this property! Hotel Gracery Kyoto Sanjo This rating is a reflection of how the property compares to the industry standard when it comes to price, facilities and services available. It's based on a self-evaluation by the property. Use this rating to help choose your stay! One of our best sellers in Kyoto! Hotel Gracery Kyoto Sanjo is located a 7-minute walk from Sanjo Train Station and a 13-minute drive from JR Kyoto Station. It offers elegant accommodations with free WiFi access and concierge service. Kawaramachi Station on the Hankyu Kyoto Line is a 6-minute stroll from the hotel. Rooms feature sophisticated decor, air conditioning, a refrigerator and a flat-screen TV. Free toiletries including toothbrush sets are provided in the private bathroom. Slippers, hairdryers and bath amenities are provided. All rooms are installed with an air purifier. Luggage storage is available at the 24-hour front desk with no additional charge. Guests can make use of the PC available at the business corner. Other services and facilities include a coin-operated laundry machines, dry cleaning and fax/photocopying offered at an additional charge. Guests can savor local delicacies prepared with seasonal ingredients for breakfast, at the on-site restaurant Bonsalute. Shijo Dori, the popular shopping street, is a 8-minute walk away while the Gion area can be reached with a 16-minute walk. Kiyomizu-dera Temple is a 17-minute drive from Kyoto Gracery Sanjo Hotel. When would you like to stay at Hotel Gracery Kyoto Sanjo? Room features a large double bed 63 in wide. Room features 2 single beds 43 in wide. Features a sofa bed 35 in wide and 2 single beds 43 in wide. This twin/double room features a hot tub, air conditioning and flat-screen TV. The property will allocate a room type to the guest on arrival; room type, bedding and smoking preference are subject to availability. This twin room features air conditioning, hot tub and electric kettle. 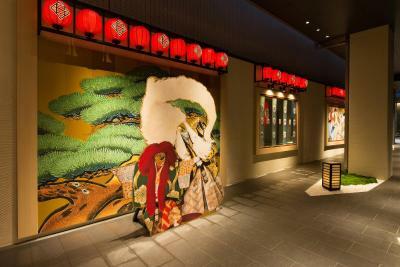 House Rules Hotel Gracery Kyoto Sanjo takes special requests – add in the next step! Hotel Gracery Kyoto Sanjo accepts these cards and reserves the right to temporarily hold an amount prior to arrival. Please note, guests staying in rooms located in North Tower must check-in at North Tower. Guests staying in rooms located in South Tower must check-in at South Tower. - Children staying in an existing bed who want to eat breakfast must make a reservation upon check-in. Fees apply. - Additional amenities and toiletries are not provided for staying children. The water temperature was not very consistent. Randomly goes cold or hot and then stabilises. Good selection of options for breakfast. Great location. Good hotel standard but slightly more expensive that other similar ones in the area. Location was great and staff was friendly. Breakfast was delicious and the rooms were very clean. It would be good if they could tell you on your booking if you are in South tower or the North tower! Limited shelf space and hooks for clothes. Air conditioner not so easy to control, but works quietly. A little pricey but comparable for this class of modern hotels in the area. The shower wasn’t good .it must connected in another place. I prefer also the basin in the same bathroom not all separate. Location and breakfast. Room was fine, a bit small. Bed was very comfortable, moderate size room. Great area. Facilities were great, location is outstanding, staff were very helpful and effective in their work and clear in their communication. The bathtub is very small and the shower is not easy to use. The whole room becomes the shower. This hotel is expensive compared to others in Japan. Good location near the market. We were a little stifled by the size of the room but got used to it as best we could!! Glad we travelled light. Onsite laundry a bonus. Loved the location- waked to most areas. Great breakfast, helpful and friendly staff/ always willing to help.